Ireland have, at times, resembled the sick man of Europe, it might seem counter-intuitive to suggest Joe Schmidt could draw strength from an outbreak of TB. 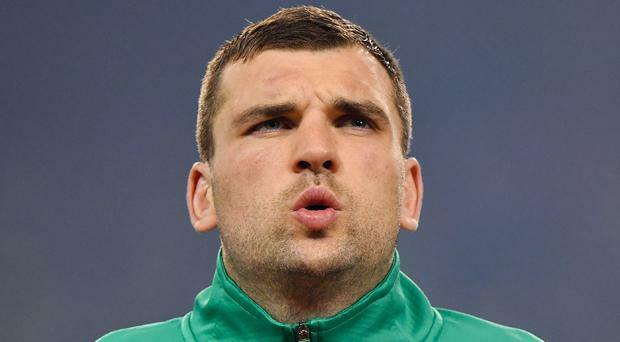 Yet, as an antidote to all that wheezing uncertainty, early spring’s sometimes-ruinous virus of doubt, Tadhg Beirne may well present the most creative solution. While Beirne has never started a Six Nations fixture, the circumstantial evidence that his foraging ferocity, a capacity to impose his will on the bleakest situation, should prove transformative, is sufficient to fill an aircraft hangar. The prosecution case, the one that argues Ireland’s championship campaign, even with two victories from three, has been something approaching a wasteland of underachievement, is guaranteed to return a unanimous supporting verdict. If they have displayed a split personality – from towering autumn to stuttering spring – Beirne is uniquely qualified as Dr Jekyll (the term given to his ability to turnover ball) to ease Ireland’s troublingly dark Mister Hyde to the margins. Beirne has to doff the cap to no Irishman, not Stockdale or Larmour or even World Player of the Year Sexton, in his seismic impact at club level over the past two and a half seasons. If he had to leave the safe harbour of Leinster to make his rugby eminence in South Wales, his early statements at the Scarlets carried impressive power. Beneath that trademark blue scrum cap, his unrivalled capacity to turn the ball over (37 times over last season, 15 more than his nearest rival) earned the Kildare man Pro 14 Player of the Year honours last season. An international debut in Australia was a reward for that priceless capacity to stop opponents in their tracks and facilitating his team in transitioning defence into attack. Scarlets were willing to break the bank to keep him, but such was his desire to pursue a test career with Ireland that a player who had slipped off the radar at Leinster took a pay cut to return home to Munster. The shadowland he once inhabited in Dublin has given way to a sun-kissed first season at Thomond Park. Beirne has been sensational, his ability to pressure the ruck breaking the flow of even the best of opponents. A Man of the Match gong as Leinster were put on the Thomond torture rack in December was a dramatic illustration of how his journey had come full circle. Schmidt, too, has been exposed to Beirne’s transformative presence, an ability to make an immediate telling impact a the highest level. He scored two tries on his full debut against Italy in Chicago last November and added another touchdown on his first home start against USA. For a player who appeared to be just spinning his wheels on the Leinster periphery, delivering pizza to supplement a meagre €4,000-per-year academy salary, the metamorphosis to seeing his name in lights is inspiring. And precisely the kind of stimulus Ireland require to reanimate a season that has fallen off a cliff-edge since November’s stirring jungle-cat fight with New Zealand. Defeat to England seemed to ransack Irish self-belief, instantly emasculating what should have been deep stores of confidence built up on their impressive climb to world number two. All at once, without warning, the easy fluency of autumn gave way to confused inarticulacy. Senior players appeared suddenly bankrupt of authority, the simplest tasks assuming high-end degrees of difficulty, a bacteria of errors invading the bloodstream like a pernicious pathogen. Ireland, to their credit, found a way to win in Rome and Edinburgh, but, too often in both games, the tiniest hurdles assumed the forbidding dimensions of towering Grand National birch. Quinn Roux and Ultan Dillane were hardly the worst offenders, but Schmidt will turn to his second row heavyweights as he looks to repair the hole in the season with a convincing 80 minutes against France. James Ryan will return. With Devin Toner’s beanstalk presence unavailable, the second lock position will likely be a straight gunfight between Iain Henderson and Beirne. Both offer instant authority and would likely have started as a pair in Italy but for an injury-curtailed February. Henderson, closing in on 50 caps, galloped ahead of his fellow 27-year-old (Beirne is a month older) during the latter’s lost years, but the gap has narrowed. The smart money says the Ulster star will start in Dublin next Sunday, with Beirne unleashed from the bench. Yet the latter’s huge engine, one sizeable enough to power a transatlantic jetliner, his capacity to pressurise the breakdown and ignite his team and its audience, appear precisely the propelling catalysts a stalled Ireland require. David Wallace, a giant of Irish packs for more than a decade, is among those to insist that is the case. Having watched Beirne make an instant impact eight days ago on his Munster return in Swansea, Wallace immediately identified him as Ireland’s lodestone-in-waiting. It flies in the face of medical science, but, just this once, an outbreak of TB might offer Schmidt the most direct route back to full health.